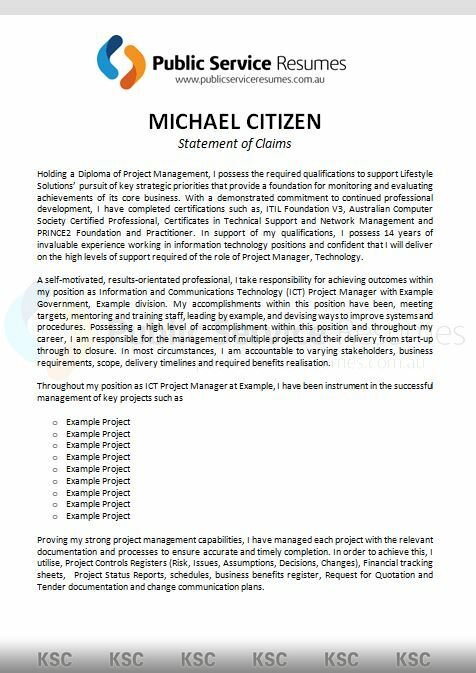 Public Service Resumes experienced and qualified Senior Executive Selection Criteria Statement Writers boast a high success rate for candidates targeting Senior leadership roles. In the Australian Public Service, State Government and local Council, the management level below an Agency Head represents the senior leadership group and directly supports agency heads in achieving the goals of the agency. Senior Executive leaders in the Australian Public Service (APS) play a key role in the delivery of the core functions of the Service. They provide high quality policy advice to Government and implement Government programs, including delivering services to the community. They have a particular accountability to ensure the delivery of outputs that contribute to the achievement of outcomes as determined by government. As a Senior Executive applying for an Australian Public Service role, your application will determine your suitability for an interview. All departments have a professional panel of experts with extensive experience selecting applicants based on an assessment of your written application against the key selection criteria and requirements of the role. At senior executive level, it is imperative that you demonstrate that you meet all the essential key selection criteria and stand out from other applicants by expressing your value to potential employers. Statements of claims that do not address the key selection criteria will not be taken into consideration. 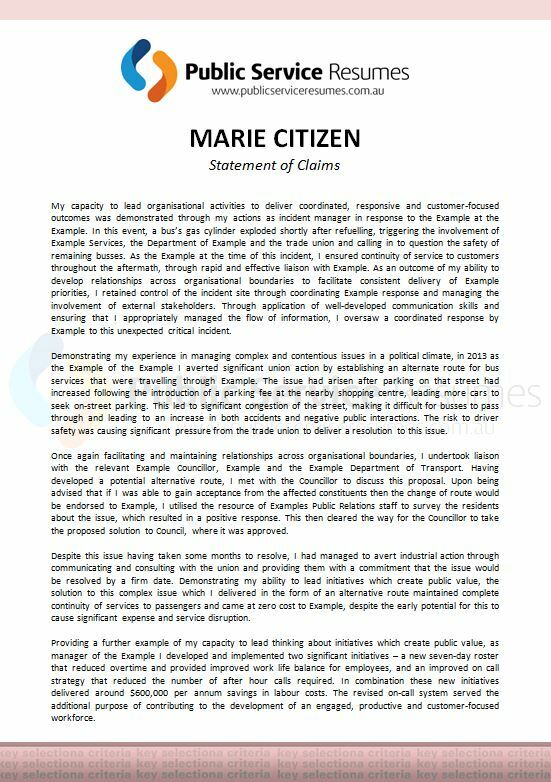 The team at Public Service Resumes are aware that writing responses to key selection criteria within a statement of claims can be extremely time consuming, not to mention confusing regarding the best examples to include, which is why we are here to help. Our team of professional writers have extensive experience writing executive-level applications and every statement we write is personalised and tailored to you and the position. 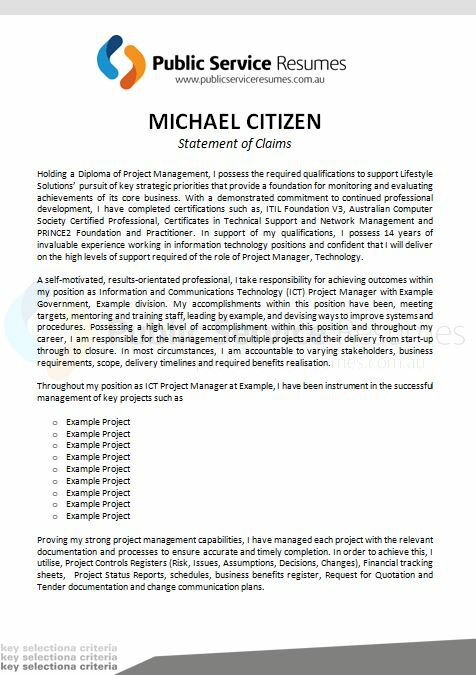 Moreover, we use appropriate key words and concrete responses that specifically respond to each criterion point and demonstrate you are qualified to undertake the role, even with transferrable skills. For details on our pricing structure and the range of packages we provide, contact the team at Public Service Resumes today. 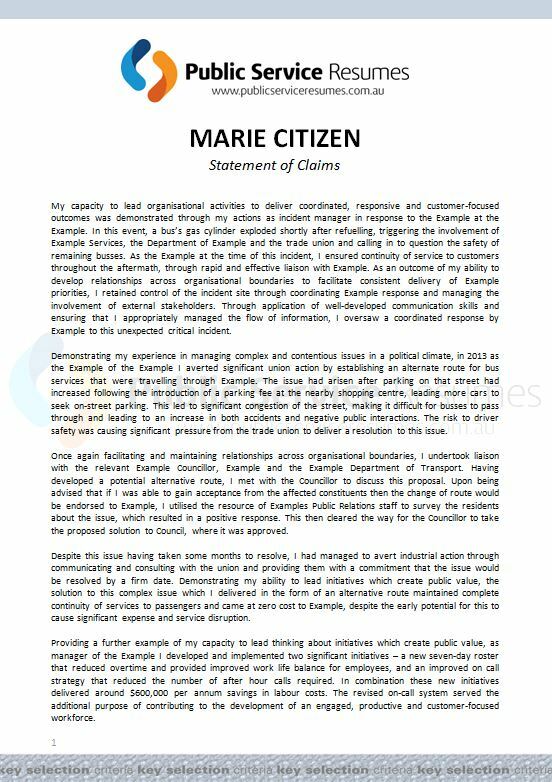 Public Service Resumes Senior Executive Statement of Claims service is suitable for candidates targeting Department or Agency leadership roles or a salary over $120k per year.